Following a little Summer siesta, I am back this evening after a busy stint in my kitchen. I arrived home this evening with a craving for something sweet. I whipped up my super easy Raspberry Crumble and put it in the oven. 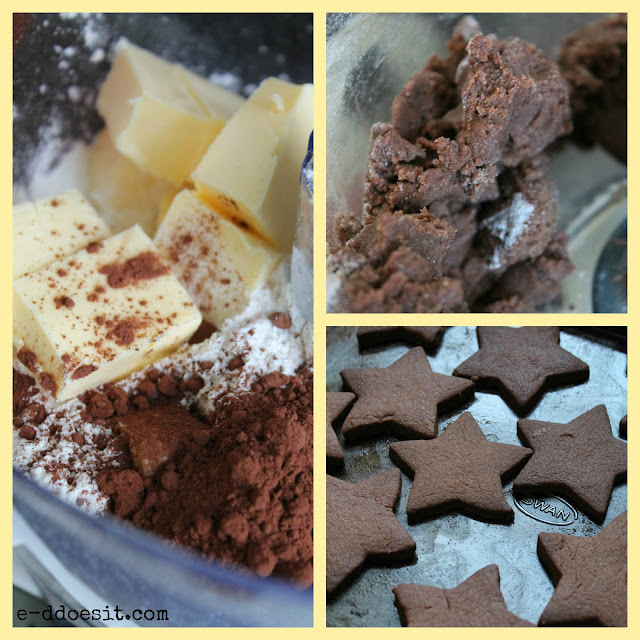 As I had the food processor out I decided to throw together a batch of these chocolate shortbread stars to lighten the mood in work tomorrow in preparation for the Bank Holiday Buzz! 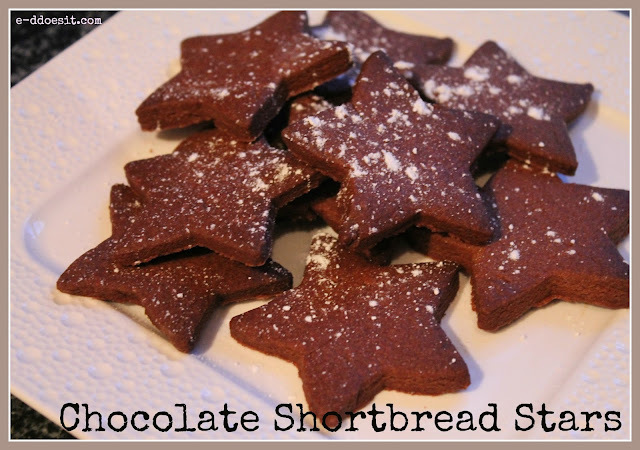 These biscuits have all the great features of regular shortbread with the added kick of chocolate. I opted for stars, but of course hearts and rounds would work just as well. Sprinkle with icing sugar to decorate, a cosmic combination. What's not to love! 1. Preheat oven to 180°C and have two baking trays ready, brush with oil or grease with butter. breadcrumbs. Add egg yolk and form into a dough ball. 3. Wrap in cling film and put in fridge for 1 hour. 4. Knead dough and roll out to 1cm thick. Cut out shapes using a cutter of your choice. 7. Place on the baking tray and cook for 8 minutes or until golden brown. instead of the fridge for an hour! slightly so they do not stick to the tray.